I seriously lack it. The small people have it in abundance. As a stay-at-home mama, I am on call 24/7. Thankfully the days of having to be up several times a night have passed, but I still need a decent amount of energy to get through the day. Most of the small people get up and are ready to start their day, which means I need to be ready also. During the school year (August to May), I'm homeschooling all day long from 8 am to 3pm. After school, the small people have a variety of activities that require me to shuttle them to and fro. Somewhere in all of that, I still have to maintain the household responsibilities of cooking, cleaning, and laundry. It was incredibly important that I find a way to increase my energy level. 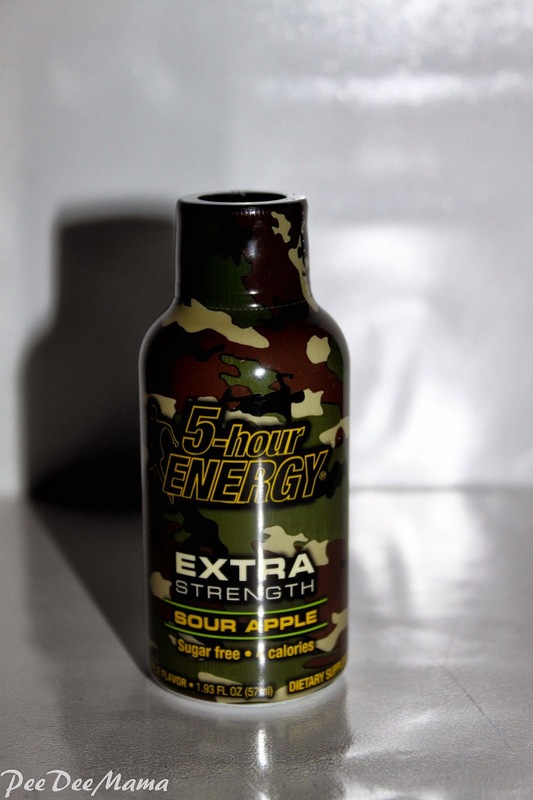 I thought about those little 5-hour energy drinks, but I have a problem with the thought of taking them. So I started exercising. It worked!! I've found that when I start my day off with some exercise, even if it's a walk around the block, I have much more energy for the rest of my day. Conversely, when I start my day off like a slug, I feel pretty slug-like for the entire day. I've also found that by eating healthier, I've improved my energy level tremendously. It's amazing how much energy is sucked from me when I eat a bunch of junk every day. Increase your magnesium intake. Foods like almonds, hazelnuts, cashews, whole grains, and fish are a great source of magnesium. Walk around the block. Just a brisk 10 minute walk is enough to increase energy levels. Take a power nap. A 60-minute nap can help revive us. Don't skip breakfast or any other meal. Reduce stress and deal with anger. Eat more whole grains and less sugar. Have a power snack. Eat something that combines protein, a little fat, and some fiber. Have a latte instead of just a cup of coffee. Check your thyroid function and complete blood cell count. I want to hear from you. Do you find yourself with a lack of energy? How do you try to increase your energy levels? Do any of the WebMD suggestions work for you?